A small selection of images from Amy & Neil’s gorgeous spring wedding. 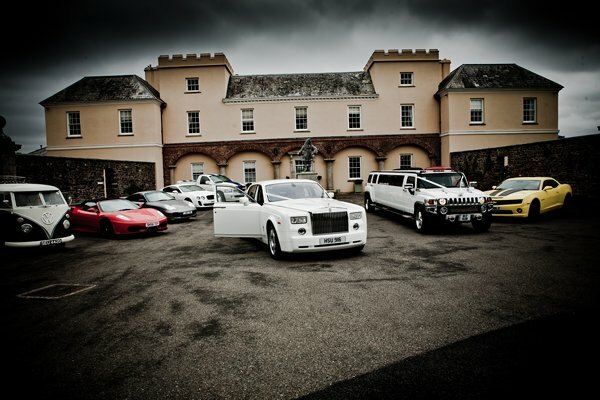 The reception was held at stunning Pentillie Castle with amazing views over the River Tamar. Anybody that knows me will understand I have a weakness for cars! Something Neil & his dad have in common but on a much larger scale. We first met Neil at when we photographed his sisters wedding in 2006. 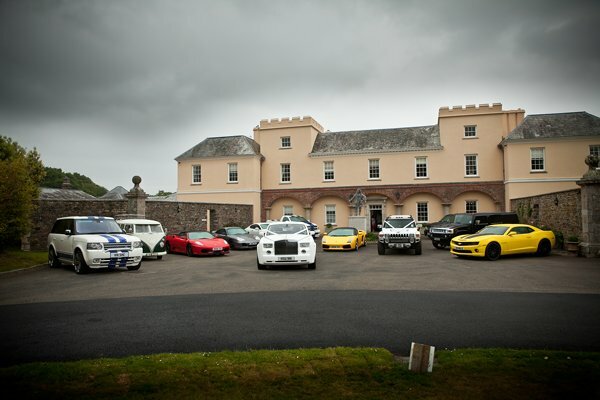 Along with the all the details you might expect at a wedding many of the family & guests turned up in some very exotic cars, which I later learned came from Neil’s dads collection. It was no surprise to learn that cars will feature in Amy’s & Neil’s wedding but who would have guessed I think the image speaks for itself. The wedding car a, White Rolls Royce Phantom came all the way down from London just to take Amy to the church then the happy couple back to Pentillie Castle. It was great to see a mix of super cars along with American muscle cars. For me it was the VW Splitscreen that caught my eye along with the lamborghini gallardo but Amy looked beautiful and outshone all the cars put together. 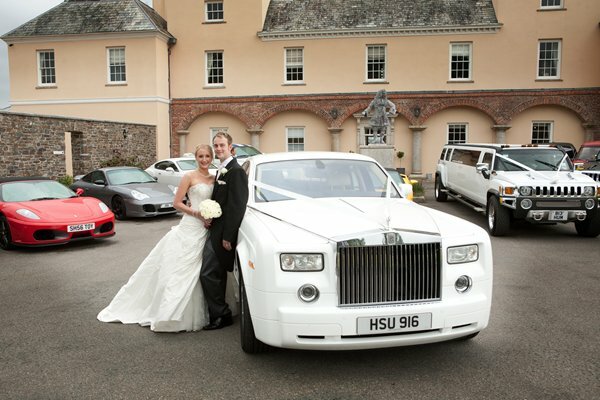 This entry was posted in Wedding and tagged Rolls Royce Phantom, White Rolls Royce Phantom, White Wedding Car on November 25, 2011 by limo.